HomeFeaturedAva Duvernay To Direct Sci-Fi Classic ‘A Wrinkle in Time’ With Over $100M Budget! Ava Duvernay To Direct Sci-Fi Classic ‘A Wrinkle in Time’ With Over $100M Budget! “Ava DuVernay is hitting an overdue milestone with her upcoming adaptation of A Wrinkle in Time, becoming the first woman of color to direct a live-action film with a budget over $100 million. 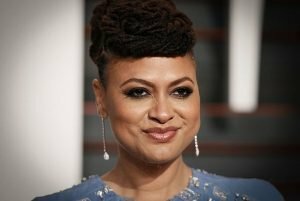 The news came to light when DuVernay’s project was included on a list of big-budget films receiving California tax incentives, with Deadline noting that A Wrinkle in Time‘s budget tops $100 million. Women and Hollywood put together the significance of that information, as DuVernay is the first women of color to helm such a film and only the third woman overall.” Read more.